For all men who happen to read or anyone else not interested in hearing all the details of birth, here is the short version: Labor was long, I had a v-bac, mom is fine, baby is fine… the end. I took the pregnancy test just before I got into the shower, knowing it usually took a few minutes to show the result. I was in the middle of washing my hair, when my husband came into the room to brush his teeth. “Two lines on this thing…” he responded. “Two lines! That means we are pregnant? We are pregnant!” I said. As I finished showering, I thought about all the decisions we’d have to make and all the research we needed to do. We were in a new state and I hadn’t even thought about finding a doctor or midwife yet. Not to mention that this would be a v-bac and I’d have to find a doctor who was on board with that. 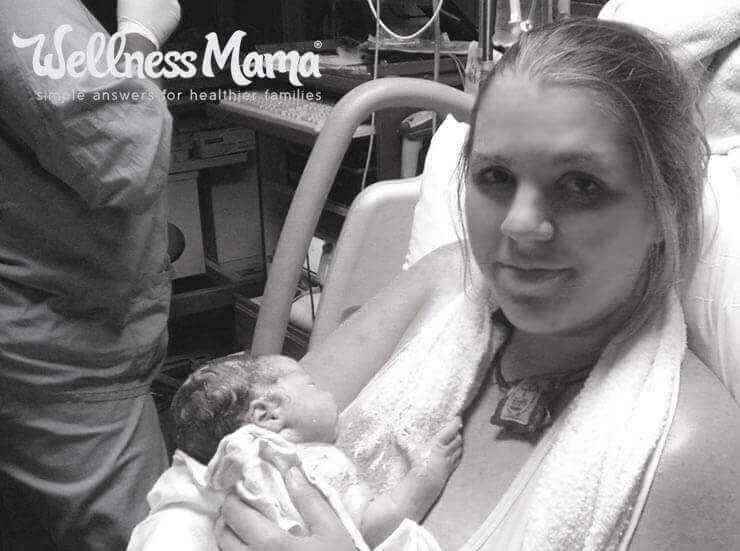 Assisted homebirth was illegal in our state. 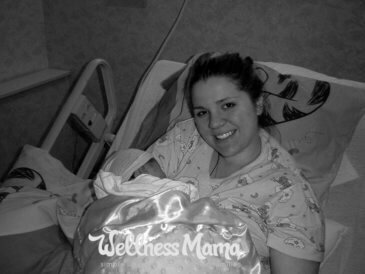 I could birth at home, but no doctor or midwife could attend, and I certainly wasn’t ok with an unassisted birth as a first time v-bac. I made a few calls to doctors around town and it became extremely clear that I was not going to be delivering here. I also found out that the hospital had a really high c-section rate (over 40% and over 80% after a previous cesarean) and wasn’t very encouraging of v-bacs. 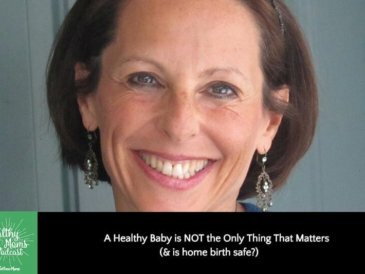 I knew that even in the next state over, home birth midwives wouldn’t take me until I’d had at least one hospital v-bac and neither would the birth centers. After considering all my options, I decided on the group of midwives I’d used previously. 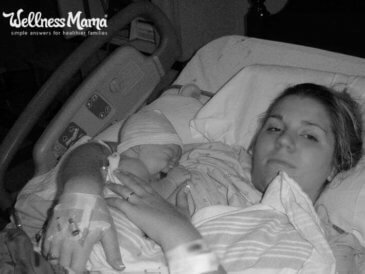 They were an hour and a half away, but had the highest v-bac rate in the country and could deliver in the hospital in case there were complications. 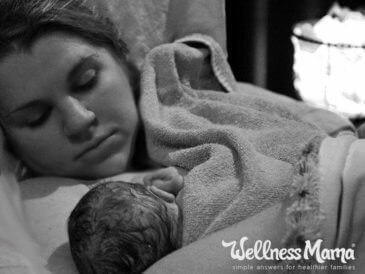 At my first prenatal appointment, I wasn’t disappointed, and clicked immediately with the new midwife. All of my other appointments went well, except for the usual “What type of birth control do you want after the baby is born?” conversation, though I’ve gotten used to that one by now. Midwife: What type of contraception will you be using after the baby is born? Me: I’m aware of that. I found out that because I was a v-bac, I’d have to be monitored constantly in the hospital, and since there was no mobile monitoring equipment at this hospital that would mean I’d have a 3 foot leash to the bed… bummer. I’d also be required to have a hep-lock in, even if I didn’t need an IV. I did a ton of research on GBS and its treatments and found out that it is a naturally occurring bacteria that exists in everyone’s body at some point, it can be treated naturally, and even though antibiotics are the common treatment during labor, they don’t actually affect the death rate from GBS. So many decisions… to take the antibiotics during labor and make the midwives happy or refuse and have baby need extra monitoring. The other thing that was discouraging, is that hospital policy mandates a minimum 2 day hospital stay for GBS positive moms and I was really hoping for a 12-hour hospital stay since our insurance doesn’t cover pregnancy. I asked if this would change if I tested negative on a re-test and was told that any positive GBS tests mean you are considered GBS positive during labor, regardless of any subsequent tests. I decided to get re-tested anyway at 38 weeks after doing natural treatments like garlic, vitamin C, probiotics and others. If the test was negative, I’d feel more comfortable refusing the antibiotics and would hopefully have a legitimate reason to refuse any additional treatment for “G” if she wasn’t showing symptoms. I re-tested on a Thursday, and called Friday afternoon to get my lab results but they had not come in yet. That meant that if I went into labor during the weekend, I wouldn’t know my results and would have to make the decision without knowing if I was still GBS positive or not. I’d been having fairly regular Braxton Hicks contractions since 36 weeks (to the point that I wondered if I’d ever make it to “term” at 37 weeks). They continued all weekend, but never intensified. I was 39 weeks now, but I figured at this point that I had at least a week left, since my labors had always started or Sundays in the past. As I was rearranging one of the kids rooms, moving furniture and hanging decorations on the walls, my husband came in and accused me of nesting. Him: You’re going to go into labor today… you are nesting. Stop cleaning and get some rest! The rest of the day passed uneventfully… and by that I mean that I cleaned, dusted, scrubbed, and polished every inch of the house and then reorganized everyone’s clothes. That night, after a long day of cleaning, we were just going to bed around 11 when a huge rainstorm hit. It was one of those the-power-is-going-to-go-out-and-trees-may-fall type rainstorms, and I was laying there, very glad we wouldn’t be driving an hour and a half in it… contractions started. They started about 5 minutes apart and I was starting to feel them in the tops of my legs and in my cervix (those are my two signs that they are “real” and not just Braxton Hicks). I decided not to wake my husband, since my labors are usually as exhausting for him as they are for me. I focused on trying to relax, hoping that would slow the contractions, but by 4 am, they were still coming strong every 3-4 minutes and it was still raining… a lot. Contractions stayed about 3 minutes apart for about 3 hours and about 7:30 am, I felt a small gush and was pretty sure that my water had broken. I laid there because it wasn’t a huge gush and I didn’t want to stand up and let gravity speed things up. Once my husband woke up, I told him I might be in labor and got up to go to the bathroom. Thankfully, there was no more of a gush, though contractions were staying steady. Luckily, the rain was slowing down. As soon as their office opened, I called the midwives and asked them what they wanted me to do. I figured being a GBS positive v-bac they’d want me to come in and at least get checked. They did, so hubby and I slowly got ready to make the drive. We didn’t have any babysitters available for a few hours, so I made breakfast for the kids, finished packing my bag and spent some time reading to the kids, who were very excited to finally meet their little sister and patiently got quiet during contractions so I could breathe. Finally, my father in law was able to come by and watch the kids, so we headed to the midwives at around 11 am. When we got there, they did three different tests to see if my water had broken (I didn’t even know there were three!). The midwife came in and confirmed that my water “was definitely broken” and told us to head to the hospital ASAP. My contractions were still 3-4 minutes apart at this point, and I didn’t want to be stuck in a bed in early labor, so like any good patient, I killed some time before heading to the hospital. Hubby and I got lunch at a Greek restaurant, though it is hard to eat in labor. Then, since he knows my labor history, we headed to a park to walk. We walked a couple of miles, pausing every 2-3 minutes for a contraction and then decided to head to the hospital. On the drive there, I chugged a couple of coconut waters for the hydration, and hid snacks and drinks in my pillowcase (eating during labor is frowned upon in hospitals). Once we got to the hospital and finally found a parking spot, hubby decided that we should take the stairs to make sure labor was progressing… at the end of 4 flights of stairs, it definitely was. We checked in and called our families to update on progress while waiting for our nurse. It was about 3 pm at this point, and contractions were staying every 2-3 minutes. I got an IV and was annoyed to be tethered to the bed, but the nurses were great and labor wasn’t too bad yet, so we just hung out and talked. My IV went in at about 4:30 with the antibiotics, and since I had allergies to several antibiotics, they had to use a stronger one that is usually used. I had been told that the best situation for the baby that wouldn’t require extra monitoring was to receive two full doses of antibiotics about 4 hours apart. I didn’t want her to have any extra intervention, so this was my goal. I actually tensed up on purpose to try to delay labor so I could get the second dose of antibiotics before delivering. A few hours later, I asked when I’d be getting the second dose, and they informed me that with this stronger antibiotic, doses had to be 6-8 hours apart… this did not make me happy! I was a little peeved at the idea that I’d been delaying labor unnecessarily, but was hopeful that I wouldn’t need any more antibiotics. The midwife confirmed that I didn’t need any more antibiotics, and I finally felt like I could just labor naturally. So I did… for hours. Have I mentioned that my labors tend to be long? By dinnertime, hubby decided to go get some food while his mom stayed with me and rubbed my feet. Contractions were getting stronger, but I wasn’t in the really tough part yet. Of course, no one thought to get the pregnant lady any food, so I had to breathe through contractions while my husband and his mom ate ice cream… ICE CREAM! At this point, I was drinking a ton of water to have an excuse to unhook the monitor and go to the bathroom where I could walk around a little. By 8 pm, I was getting the “shut up, these really hurt” type contractions, and my husband was enlisted to put pressure on my back during each contraction… darn posterior labors! The “shut up these really hurt” contractions lasted for about 3 hours and then turned into the “owww owww owwwwwwwwww” contractions. At about 11:30, I vomited. I adopted a semi-sitting, semi-squatting position on the bed and announced that these were hurting. I declined to be checked since there is a higher rate of infection with GBS if you are checked a lot, and I wasn’t feeling “pushy” yet. I guess I was making the nurse nervous though, because just after 12:30 am, she had the midwife come in to check me. I was complete, but even though my water had broken earlier in labor, there was apparently a second bag of waters behind the first that had not broken (I didn’t know this was possible either). Since she didn’t like being splashed in the face during the pushing phase, she broke my water and I immediately got the urge to push. At this point, I entered that hazy phase where time isn’t really relevant and I can’t really hear or see anyone besides my husband, who I cling to… very tightly (his poor arms). She was not coming out as easily as I’d hoped since she was my fourth, and I was so tired at this point that I was literally falling asleep between contractions. I decided that I wanted her out NOW and ignored the instructions to “push now, ok don’t push now” and just pushed with everything I had. This is the moment that truly is a test of strength for me… when I know that pushing will make it hurt worse, but that the pain won’t go away until I do. The light at the end of the tunnel is there, but there’s that pesky “ring of fire” between you and the exit. I pushed as hard as I could and felt her head come out but I still had the shoulders to go. (my kids all have big shoulders). With another push that I felt sure was going to cause my rear to explode, I pushed baby G all the way out. Sweet relief! I can’t put it into words, but those of you who have experienced natural labor know exactly what I am talking about. It is the most instant and complete change from intense pain and exhaustion to complete relief and happiness. Gotta love those hormones! My husband got to help catch her and he put G on my chest and let me hold her and talk to her until the cord stopped pulsing. After about 10 minutes, they clamped the cord and my husband cut it. I was able to get up and go to the restroom on my own about 10 minutes later (gotta love not having a catheter!) and we moved to our postpartum room shortly after that (I even felt like walking down the hall on my own!). Overall, it was a wonderful birth (long, but wonderful). Baby G never left my side the whole time we were in the hospital, she latched on easily, slept like a champ and has been my easiest baby yet. 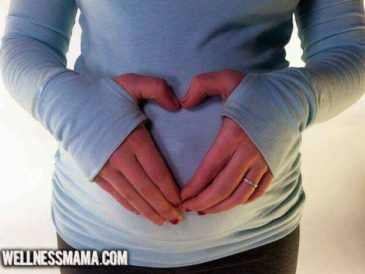 My theory is that my kids have gotten easier and been better sleepers because my diet has improved with each pregnancy. Speaking of diet, the hospital we delivered at had a wonderful system where they don’t bring you food at meal times but you can order whatever food you want at any time. They had omelets, grilled chicken, salads, fruit, and coffee and they even cooked my eggs in butter instead of oil :-). I doubt the eggs were free range, or the chicken organic, but it beats the heck out of mystery meatloaf or fried chicken! We got to come home about 36 hours later where baby G was very enthusiastically welcomed by her siblings. Missed the previous births? Read previous parts of my birth saga here.